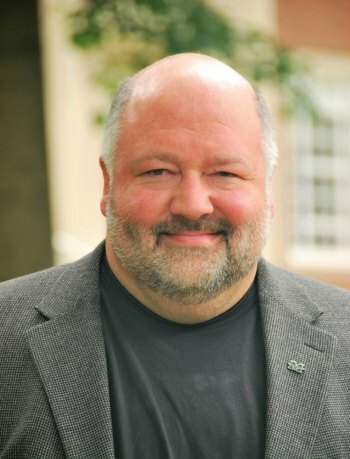 HUNTINGTON, W.Va. – John Sammons, an associate professor at Marshall University, has been invited to serve on the National White Collar Crime Center Cybercrime Advisory Board. The National White Collar Crime Center (NW3C) established this advisory board to coordinate and ensure the effectiveness of its cyber-related programs and partnerships. Its members are top-level representatives of state and local law enforcement and private sector corporations. The group assists NW3C in determining direction and strategies as it forges partnerships to address cybersecurity and cybercrime challenges. NW3C is a nonprofit organization whose members represent all levels of law enforcement and prosecutorial and regulatory agencies, providing a nationwide support system for law enforcement and regulatory agencies involved in the prevention, investigation and prosecution of economic and high-tech crime. For more than 30 years, it has offered cybercrime training programs, conferences and awareness programs. Sammons is the chair of the undergraduate department of forensic sciences and the director of the digital forensics and information assurance program. The next Cybercrime Advisory Board Meeting will be Aug. 21 in Dallas, Texas.